Last summer, our Minister of Defence called up one of the force's Search and Rescue helicopters to pick him up from a fishing holiday in Newfoundland. They pulled him up in a basket and away they went. I don't know who gets the points for that. Maybe the defence minister. There are many other examples of imperial and presidential-like activity by our government. The next example isn't either of those but it is equally difficult to explain. A Canadian Senator has launched a move to change Canada's national symbol from the beaver to the polar bear. How can this be? Canadians love their beaver. Beavers are highly respected. It's every Canadian man's dream to conquer and tame a beaver. But this Senator wants to replace beavers with polar bears. Polar bears!!! Think of what that might do to our nation's psyche. I guess if this movement is successful, points to the beaver-haters. And, hey, Canadians love their beavers. They're adorable and have been our national image since who knows when. 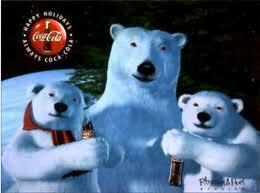 Besides, these polar bears already have a nice-paying gig. How come Harper didn't order to hang a picture of Prabhakaran in every embassy/high commission right next to the Queen's picture? After all LTTE is Harper's biggest constituency in Canada !!! 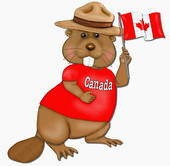 Canada's national symbol is a beaver? Really? My, my...that is awkward. Why not a moose? Well, I guess Harper knows a lion beats a tiger any day. I'll say it's awkward... Awkward doesn't begin to explain it. Get rid of the Beaver?! Is he farcing crazy? I know. Who in their right mind would hate Justin Beaver THAT much? I don't think Harper knows any animals other than Tigers. I'm Canadian through and through. I like me a beaver. But I think all the Canadiana symbolism was a practical joke. Beaver? Loon? Lacrosse? Leaf? Poutine? Celine Dion? Someone has to be pulling our leg. You have a serious preoccupation, Stef. And our flag? A maple leaf! Why couldn't it be an Ottawa Senator or a Montreal Canadien. I have no occupation, pre or otherwise. Heh heh. One correction: It's every Canadian man's dream to conquer and tame a beaver." Oh, absolutely that's what I meant, right.